Book A Home Inspection Today! an InterNACHI Certified Home Inspector. 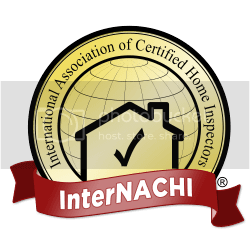 a home inspector that is certified by the International Association of Certified Home Inspectors. View InterNACHI Standards of Practice. View InterNACHI Code of Ethics. Contact us at any time to let us know how we can best serve you. Friday to Sunday 9 am-7 pm. Text or Email anytime.